your mouth, your silence, a certainty. more than his addictions, than bruises. a stilled life mother, sister, daughter. in nothing more than a blanket? Kendall A. Bell's poetry has been most recently published in Thick With Conviction and Melancholy Hyperbole. He was nominated for Sundress Publications' Best of the Net collection in 2007, 2009, 2011, 2012, 2013 and 2015. He is the author of seventeen chapbooks. His current chapbook is "How To Disappear". He is the founder and co-editor of the online journal Chantarelle's Notebook and publisher/editor of Maverick Duck Press. His chapbooks are available through Maverick Duck Press. He lives in Southern New Jersey. The views and opinions expressed throughout belong to the individual artists and may or may not coincide with those of the other artists (or editors) represented within the magazine. 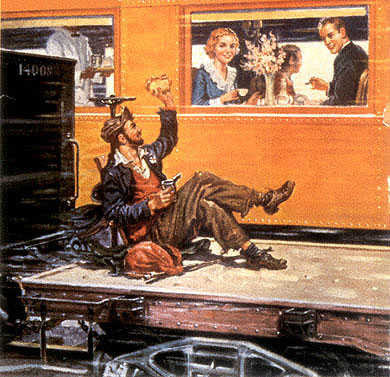 Hobo Camp Review supports a free-for-all atmosphere of artistic expression, so enjoy the poetry, fiction, opinions, and artwork within, read with an open mind, and comment wisely. Thanks for stopping by the Camp! What is Hobo Camp Review? 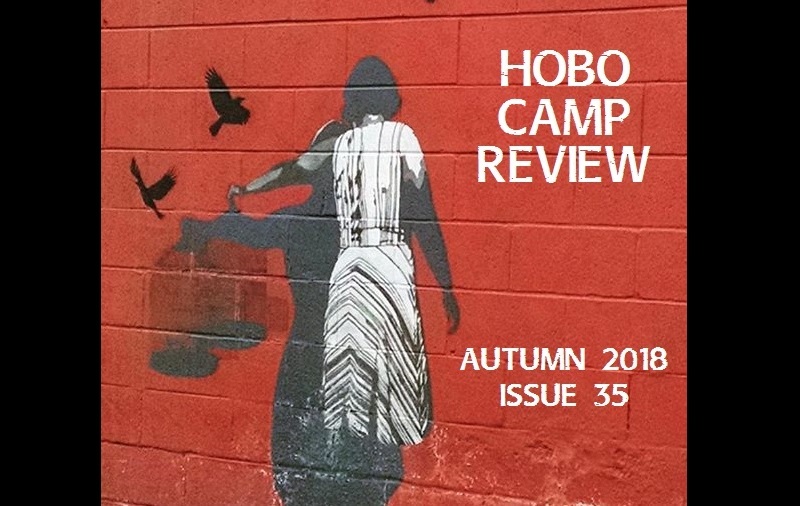 Hobo Camp Review is an online poetry journal and a gathering place for the road-weary storyteller. Can you hear the highway? Can you smell the river? Sit a spell by the fire and tell us where you've been. We're interested in travel stories, Beat-ish poetry, something with a dark twist, and something that'll make us laugh. Pretty much anything that sounds great read aloud beneath a railroad bridge at night. See our guidelines and submit your work! Welcome to the Hobo Camp, fellow transient! Print & PDF versions for Issues 1-8 are no longer available, but may be re-issued in the future.